Howards and all agreed referral partners can contact me with relevant information, offers and news. Howards and agreed referral partners can contact me with relevant information. Firstly, how likely would you be to recommend our company on a scale of 0 - 10? Please enter your feedback in the box below and then press 'Submit Feedback'. It seems you have already provided us with feedback recently. Sorry for the inconvenience. 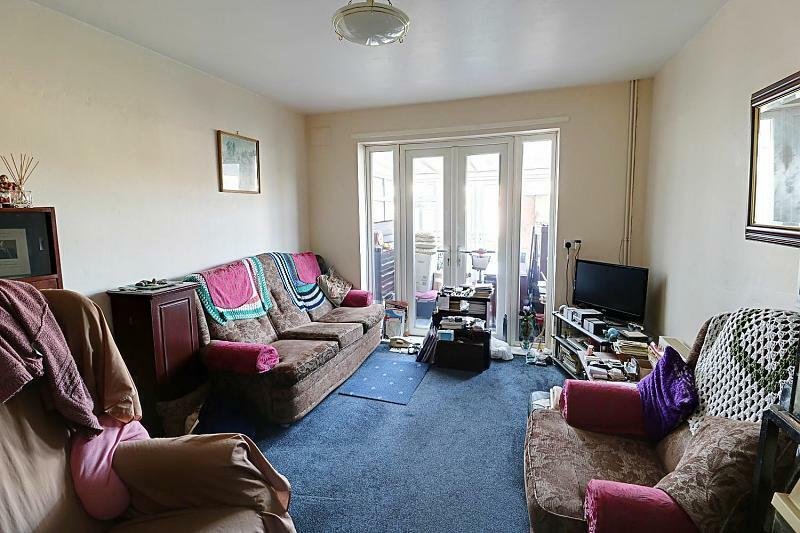 Howards can contact me with relevant marketing information on similar properties. 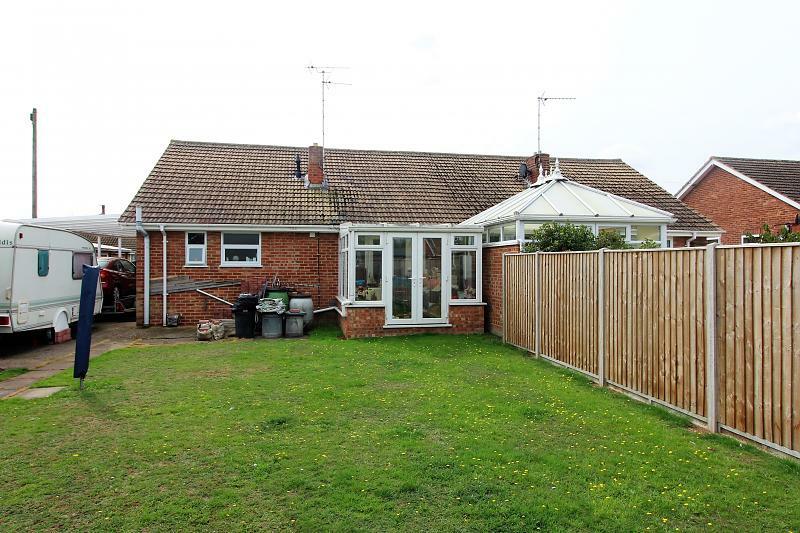 A spacious semi-detached bungalow set on attractive plot, ideally situated on this sought-after development being close to all amenities including shops bus routes and within 1 mile of the beach and sea. The adaptable living accommodation includes a lounge sealed unit double glazed conservatory, kitchen wet room and 3 bedrooms. 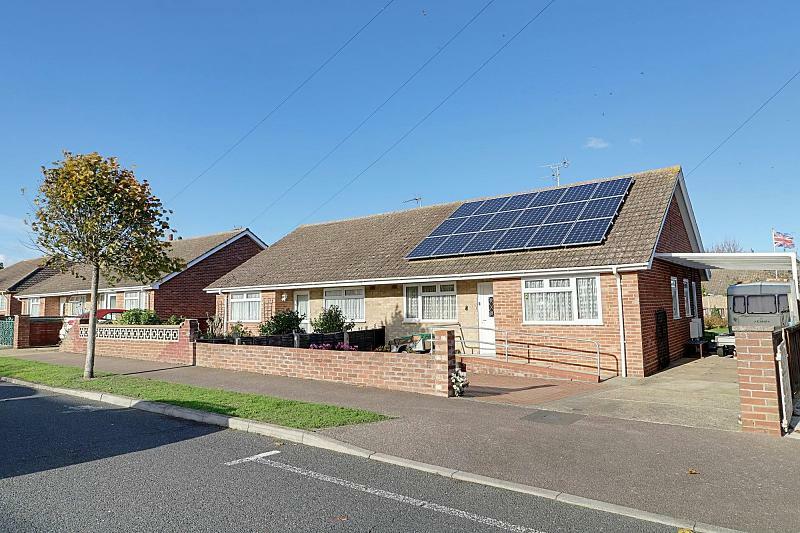 With double glazing, gas fired central heating and cavity wall insulation all updated within the past 7 years together with free day time electricity courtesy of the leased solar panels, the bungalow is highly energy efficient. 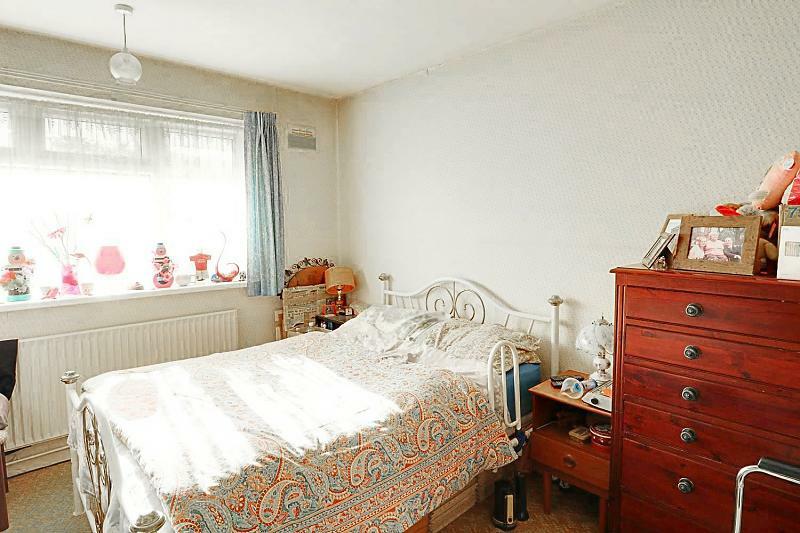 Cosmetic improvements are required throughout however at this competitive asking price an early inspection is recommended. Sealed unit double glazed entrance door, carpet, cupboard containing gas fired boiler for heating and hot water, access to roof void. 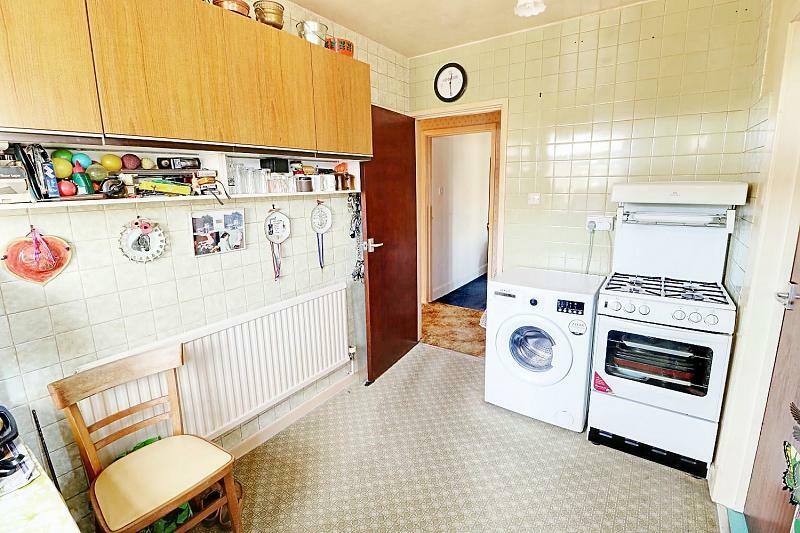 Single drainer sink unit, plumbing for washing machine, range of matching wall and base units, space for small table, sealed unit double glazed window and matching door. 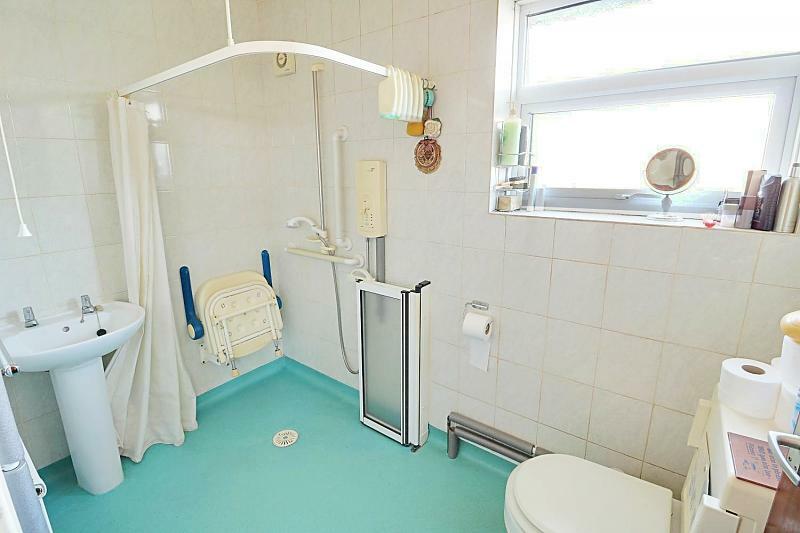 Walk-in shower area, electric shower, low level WC, wash basin, sealed unit double glazed window, electric heater. OUTSIDE Low maintenance front garden, with low brick wall, handy sloped path with rail to front door. Long pavioured drive with double gates extends to detached sectional garage with up and over door power and lighting. 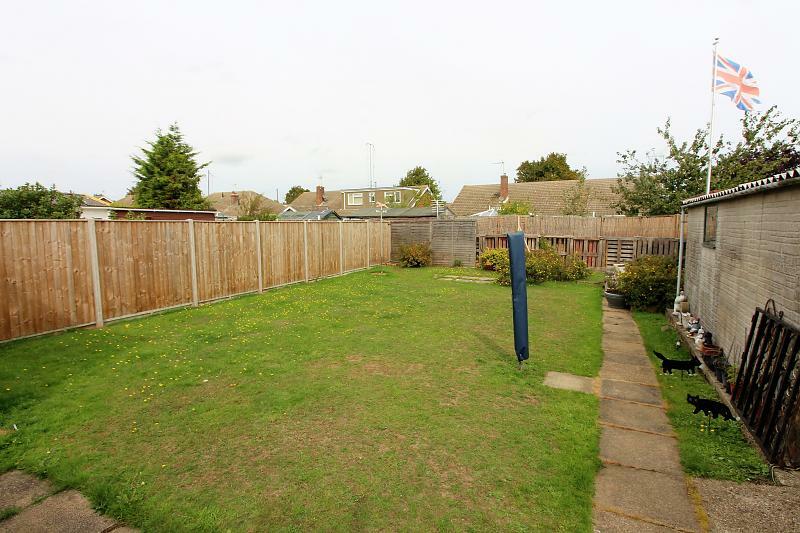 Opening to larger than average lawned rear garden with concrete patio area, panel fence screen. NOTE: The solar panels on the roof are leased through ‘Anesco’ under a 25 year agreement which provides the vendor FREE daytime electricity.